With 20 years experience, Tony provides insurance and investment strategies to professionals and small businesses. He works diligently to understand the client's situation and requirements before recommending financial approaches that will best meet the client's short and long-term financial goals. Tony attended the University of Cincinnati and earned a Bachelor's Degree in Economics. 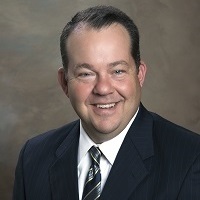 He is a member of Life Underwriting Training Counsel Fellow, Cincinnati Association of Insurance and Financial Advisors director, Society of Financial Service Professionals, and a Cincinnati Chapter member. In 1993, Union Central Life named Tony its New Agent of the Year, commending him on his client service and production performance. Tony is licensed to sell securities in IN, KY, OH and licensed to sell life insurance products in IN, OH, KY. He is also licensed to provide Investment Advisory Services in OH. Tony, his wife Kathie and two sons, Brian and Kyle, live in Cincinnati. This lifelong Cincinnati resident enjoys golf and a variety of other sports. As an active member and volunteer in St. Bartholomew Church and Moeller High School, Tony also volunteers coaching for both of his sons' sports teams. He is a season ticket holder for the University of Cincinnati basketball, football and baseball. Tony is a supporter of University of Cincinnati and is an active UCATS member.